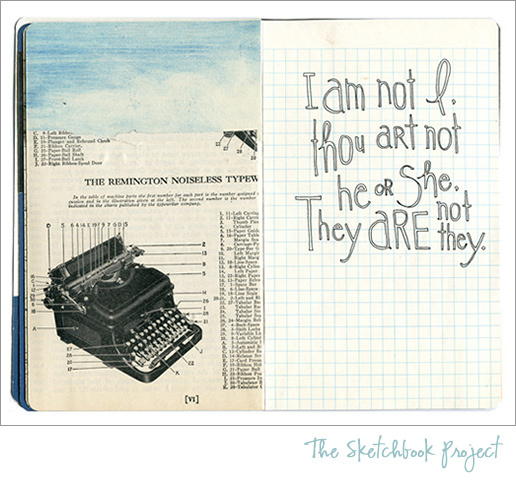 We’d say we’re fairly arty types over here at Cellardoor, and always like to find ways to be creative – so we were really excited to hear about The Sketchbook Project, a global venture to allow everyone to express their creativity and share it with others. The idea is lovely in its simplicity – just sign up and you’ll be sent out your very own 32-page blank sketchbook (made from environmentally-friendly recycled paper might we add), with a unique barcode on it. You’ll be asked to choose a theme – such as “hope”, “travel with me” or “the companion book” – from the various forty options available, and then it’s up to you to fill up your scrapbook in any way you want, using your chosen theme as a starting point for inspiration. 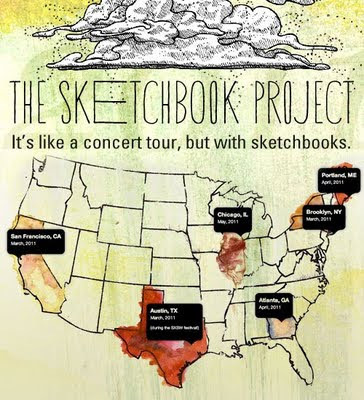 When you’re done, send it back to the project’s headquarters in Brooklyn, New York, where organisers are collecting every single sketchbook they receive. Then, in April 2012, the global tour starts – every book submitted will be displayed in large exhibitions across the USA, Canada, Australia and, finally, in London, England. The best bit of this project is that there’s no bias or judging as to which scrapbooks make it into the exhibitions and which don’t – every sketchbook, no matter what it contains, is put on show, making this a really inclusive project into creativity and the way it’s expressed by different people in different situations around the world. Want to join in? Sign up here by 31st October and post your book back by 31st January 2012 to make sure it’s included in the tour. I am *so* doing this - it's such a great idea! I love it! It's gonna be fun! Wow! I like it so much. Isn't it a problem that I'm from Ukraine? This is an absolutely brilliant idea, I just have to pick an idea and I'll be joining. Can't wait. Thanks so much for sharing! Just signed up and I might not sleep tonight I'm so excited.